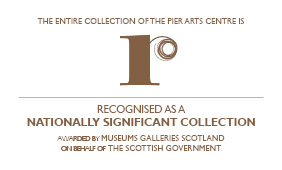 A Window into their Worlds is a collection of drawings by Sylvia Wishart, Barbara Hepworth and Wilhelmina Barns-Graham selected from the Pier Arts Centre’s Permanent Collection, curated by third year fine art students at Orkney College UHI Kelly Marwick, Ruth Tait and Sarah Wylie. Join the students at an open event on Saturday 10 March, 2-4pm. All welcome.